Galaxy Note series is one of the most popular phablet series by Samsung. Galaxy note smartphones are good business smartphones and widely used. Currently Samsung Galaxy Note 5 is the latest version available in the market. 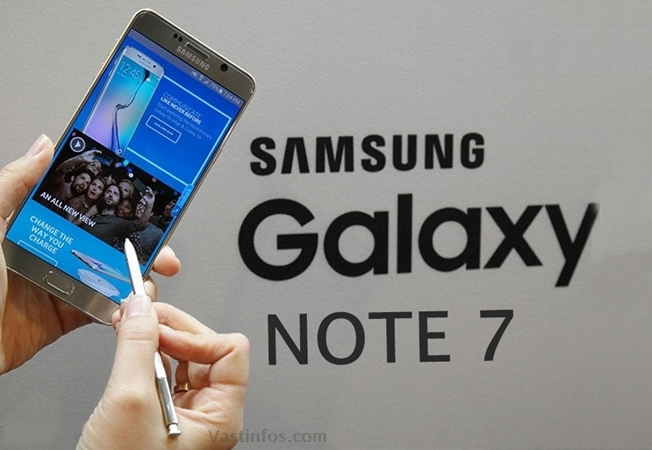 Samsung is about to launch the Samsung Galaxy Note 7 this year. As per now there are few rumors and reports regarding Note 7 specifications. The key specs or features of Galaxy Note 7 smartphone reportedly discussed by the tech giants are here. These are the leaked specs of Samsung Galaxy Note 7 as per the databases of AnTuTu , Geekbench. These specs are not officially confirmed and reportedly said by Times News based on the AnTuTu, Geekbench datas. Actually the most recent in the Note series is the Note 5.